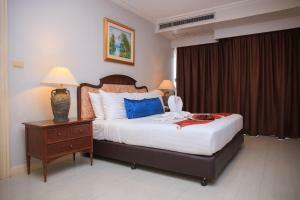 Forum Park Hotel is located in Sathorn, featuring an outdoor pool and free scheduled shuttle services to Chong Nonsi BTS Station. 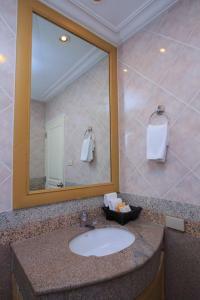 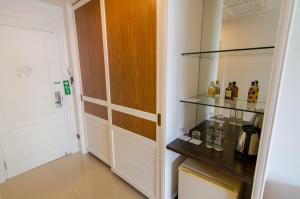 Rooms at the hotel are fitted with a safety deposit box, complimentary bottled drinking water and satellite TV. 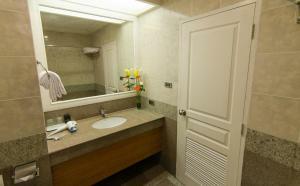 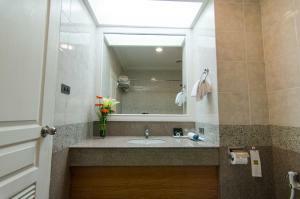 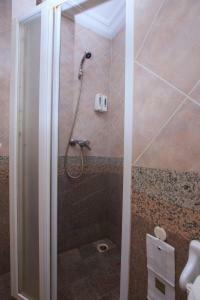 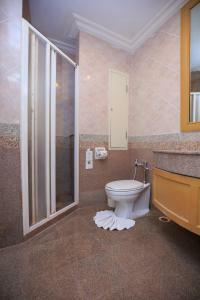 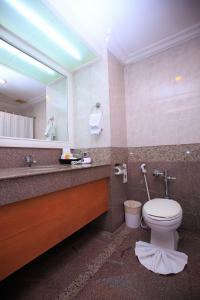 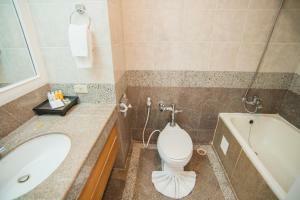 En suite bathrooms come with both bathtub and hot shower facilities. 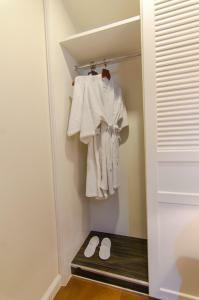 Guests can laze in the sauna, or enjoy a refreshing dip in the outdoor swimming pool. 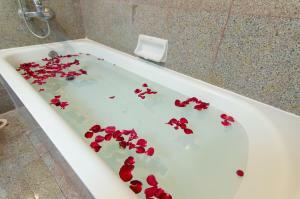 Relaxing traditional Thai massages and treatments can be found at the on-site Elyrest Massage & Spa. 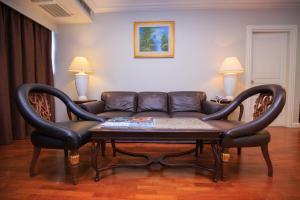 Bellini's Restaurant serves both Thai and Chinese menus with a variety of desserts. 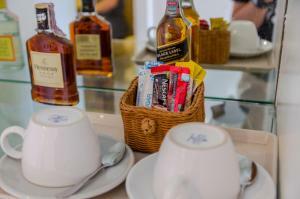 It serves a buffet breakfast daily from 06:00 - 10:00 hrs. 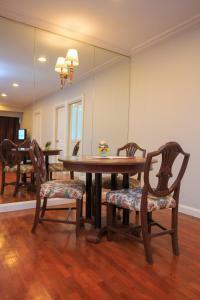 and stays open all day serving a la carte dishes until midnight. 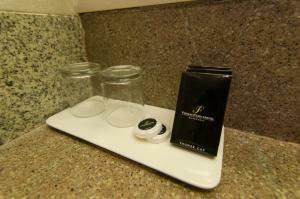 Refreshing drinks and light bites can be found at the sophisticated Smirve Bar. 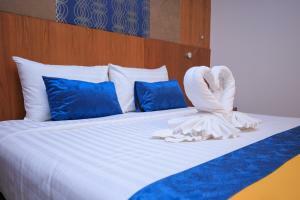 A night of karaoke and entertainment can be enjoyed at Diversion. 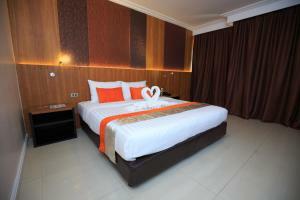 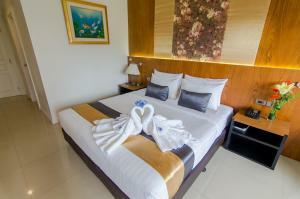 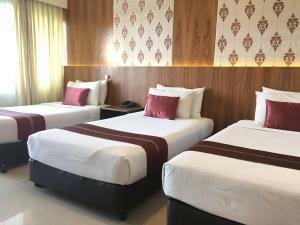 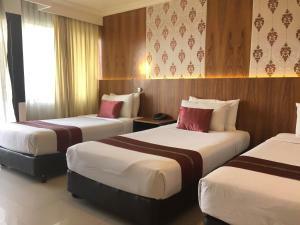 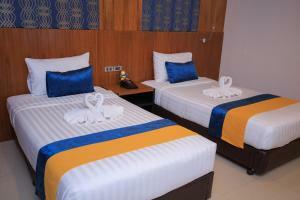 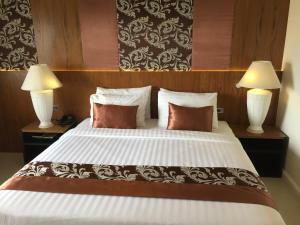 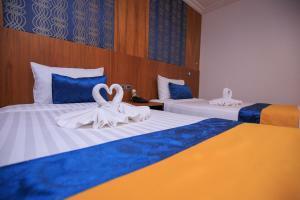 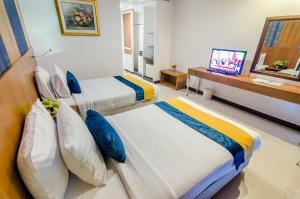 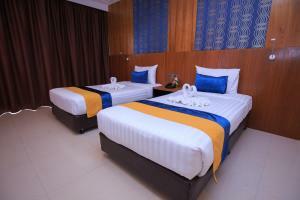 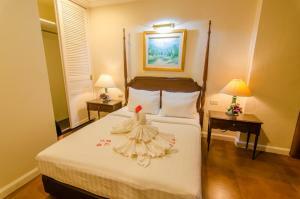 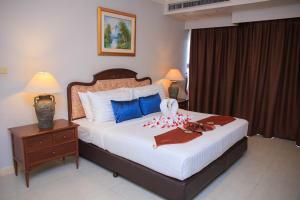 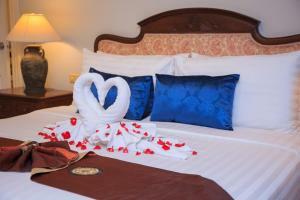 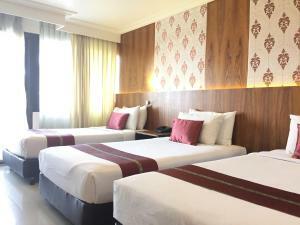 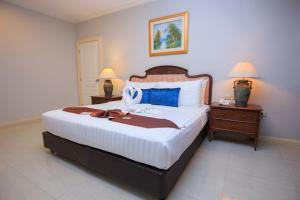 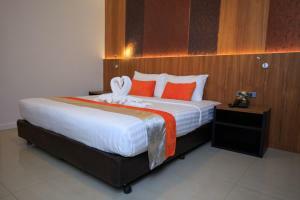 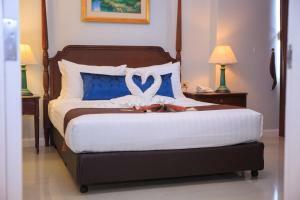 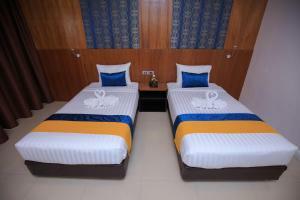 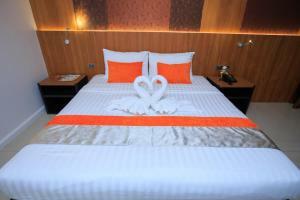 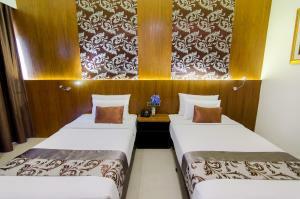 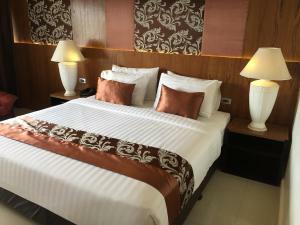 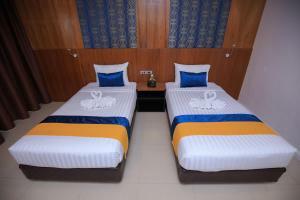 Park Forum hotel is 23 km from Suvarnabhumi Airport and 4 km from Seafood Market. 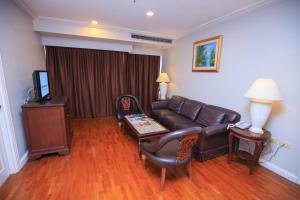 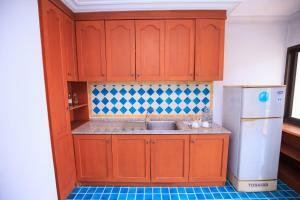 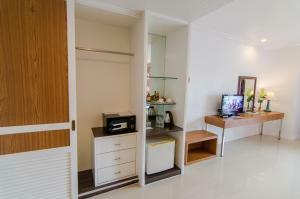 It is also 2.4 km from Lumphini and Silom MRT Station. 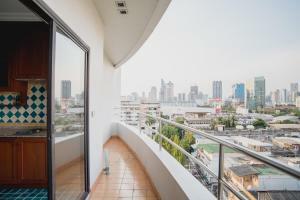 Nearby landmarks include Asiatique Riverfront (4 km) and CentralPlaza Rama III (3 km). 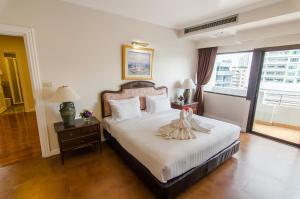 The property offers complimentary shuttle services to Chong Nonsi BTS Station. 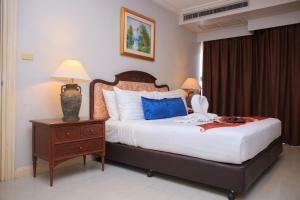 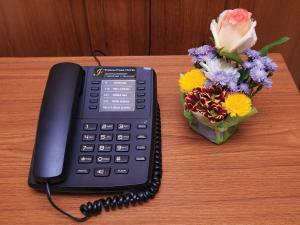 Guests are kindly advised to contact the property directly for more information. 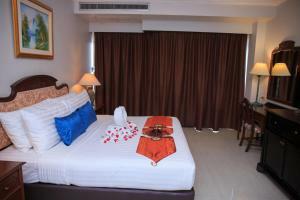 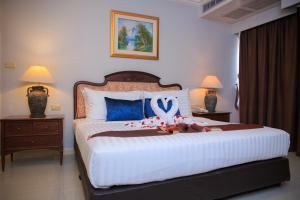 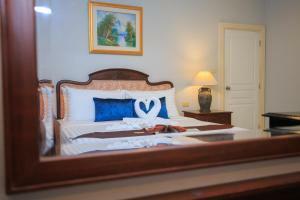 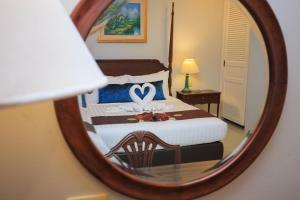 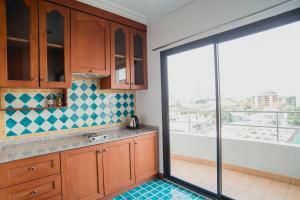 This twin/double room has a balcony, minibar and air conditioning. 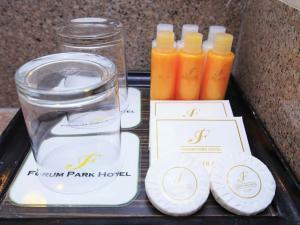 Guests will also find complimentary bottled drinking water. 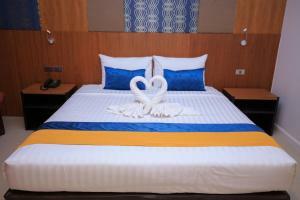 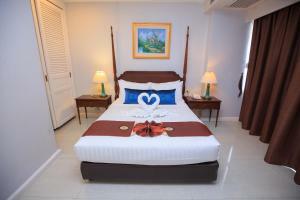 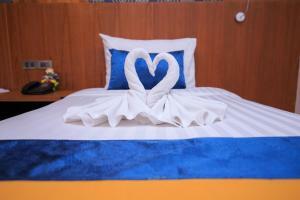 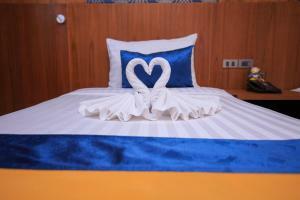 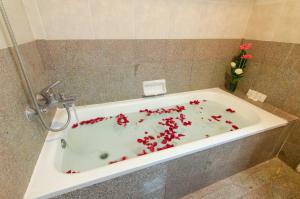 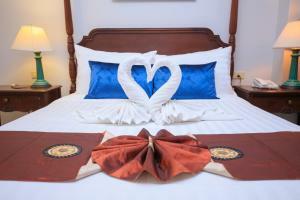 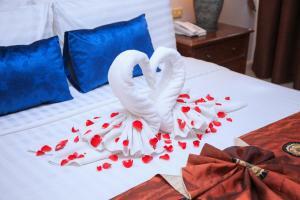 Rate: THB 1710.00 ... THB 8800.00; select dates below to get current rates. 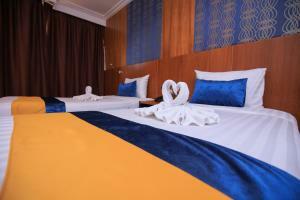 Triple room offers added space and a balcony. 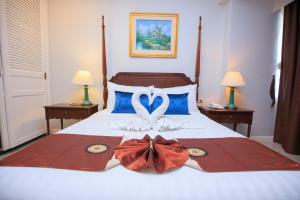 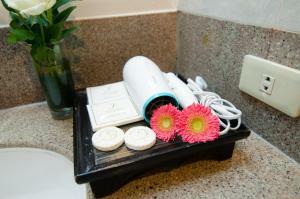 Guests will find complimentary bottled water in the rooms as well as coffee/tea making facilities. 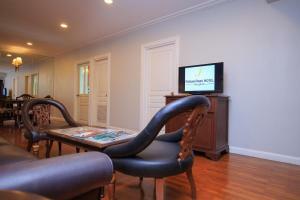 The TV comes with over 200 cable channels. 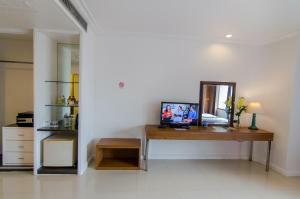 The largest room available, the Family Two-Bedroom Suite's highlighted amenities include a kitchenette, flat-screen TV with over 200 channels and a sofa in the living room.